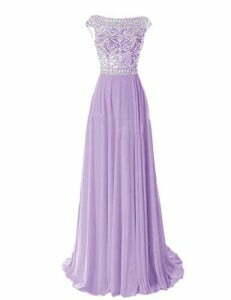 What is the color lilac and what matching colors you can wear with it? This is one of the most delicate shades of the world, clean and very floral, emphasizes femininity and romantic nature. What color goes with lilac? Actually lilac is best worn on its own, but if you feel the urge to combine it with other colors make sure they’re not too bright or warm: you don’t wanna look tacky, do you. The best way to make matches with lilac of accents is to go for either cold shades of purple or really basic neutral colors like white, black or gray. You can get very cute outfits with leggings in white or grey colour plus lilac tunic, for example. We wouldn’t recommend pairing lilac with any straightforward blue shade, but as long as there’s a bit of purple in it, the outfit’s gonna turn out all right. That’s definitely a combination you can flaunt at a party stealing all the attention. 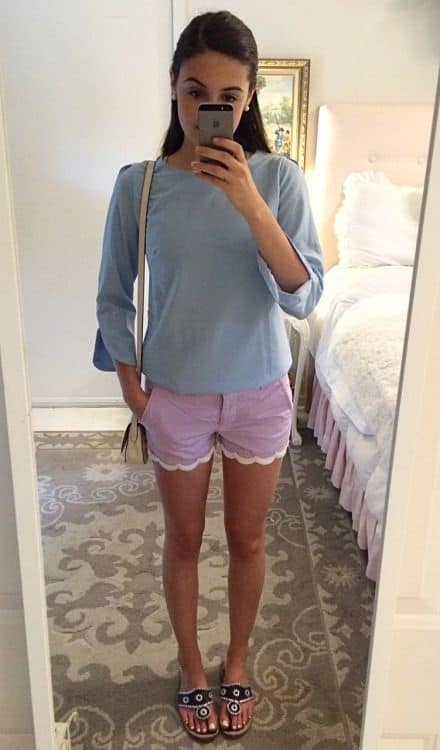 Looking for classier colors that go with lilac? A complementary white blazer over a lilac dress will create this innocent color combo you might want to choose for your first date or your parents’ anniversary. Trying to rock this candy look of pink and lilac don’t forget that the ratio of lilac to all the other colors you’re gonna use has to be around 70% otherwise you’ll end up looking like one of those Japanese lolitas. Unless that’s the look you’re aiming at of course. Lilac cigarette pants with black peplum top is outfit for real girls, who does not hesitate to emphasize their femininity and sexuality. Lilac fabolous midi skirt with lilac necklace and ballet flats. Romantic and cute image.